It has come up again, that is, the case of the Roswell nuns seeing something in the sky late on July 4, 1947, and recording it in their diaries. I have reported on this several times on this blog as I attempted to clarify the problem. This all came about in a footnote I had provided in The Truth about the UFO Crash at Roswell. Lance Moody has suggested that if you “googled” Roswell nuns you would see many references to them on the Internet and I suspect he believed them to be positive. Since I am responsible for the entry, and since I have arrived at the conclusion that if the diaries existed they might be beyond our capability to recover them, or worse still, they might never have existed, I thought I would discuss it once more. However, I see, by an Internet search that the first entries encountered are my blog postings about how that footnote came to be and then describing how this latest search for the diaries had failed to produce any documentation. I didn’t see anyone who gave much weight to this tale at this point. Given all this, I’m not sure that another posting is necessary. However, to make it clear for everyone, there were nuns in Roswell in July 1947. They kept diaries that were eventually sent on to Oklahoma and later to Wisconsin. However, as near as I can tell, no one ever saw an entry that related to something falling out of the sky on July 4, 1947, and if the diaries existed, I do not believe they will be found now. I suspect they do not exist, or rather that specific entry does not exist, and the source of the information is a man who claimed to be a Special Forces captain but who was not. He pointed us, meaning Don Schmitt and me, to a nun in Roswell who said that she had seen the entry, and while she may be telling the truth, there is no way we can prove it now. If I was chasing footnotes here, I could take this back to that Special Forces captain and at the point the trail ends. There is no documentation for this tale and, as I have said repeatedly, nothing to suggest it is true. My hope here is that those chasing the story using the Internet will arrive here and realize the problems with the tale. They will then remove any reference to the nuns and Roswell from whatever database they are using and we won’t be bothered by it again. In the course of investigating many UFO cases, there are witnesses who come forward to tell their stories. Depending on the nature of the story or the investigator who hears it, that story might be added to the case file or might be rejected. Anne Robbins, widow of T/SGT Ernest Robbins, told her story, or rather her husband’s story after he died in January 2000. It related to Roswell and had all the necessary elements including the late night telephone call, a mysterious trip into the desert and a secret that was reluctantly shared. Photocopy right by Kevin Randle. It wasn’t long before he received a telephone call ordering him out to the base. She said that she assumed there had been a plane crash somewhere but she didn’t know why they would call her husband. He was a sheet metal worker who repaired airplanes and had no skills related to an aircraft recovery operation. She pressed him for details. He said that the craft had looked like two saucers pressed together and that along the top saucer there were oblong windows all around it. There had been three passengers. Two had survived and one had been killed. 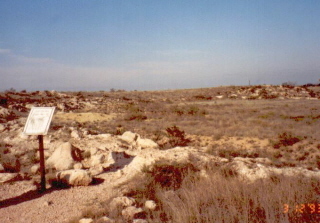 Looking out at one of the cluster of craters near Odessa, Texas. Photo copyright by Kevin Randle. She wanted to know what happened to the craft but her husband told her he couldn’t tell her and to ask no more questions. In the years that followed he never said much about the crash. 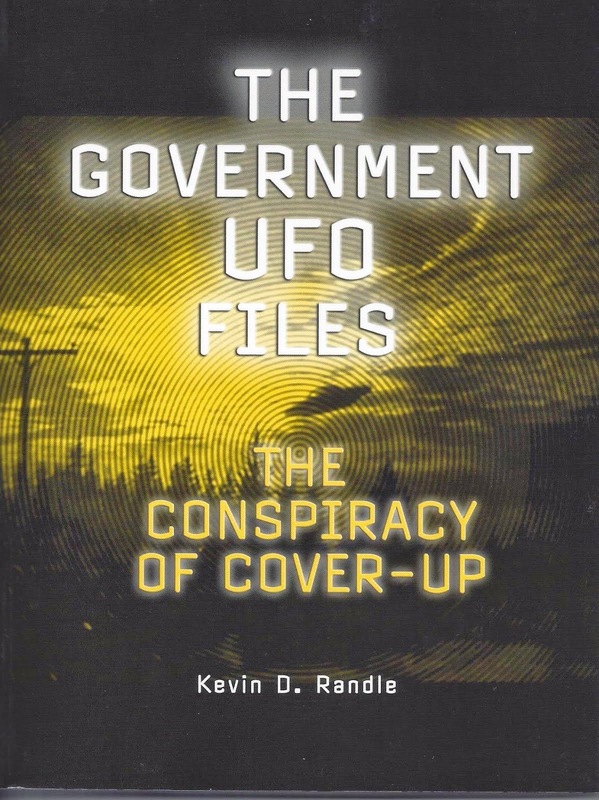 While in high school, their son, Ronald, was writing a report on UFOs and asked about what had happened in Roswell. It would have been interesting to know about what year this was because anything much before 1980 wouldn’t contain much about Roswell. How would the son know to ask about Roswell if no one was actually talking about it? According to Robbins, Ronald kept asking questions until her husband finally took a piece of paper and drew a “pear-shaped head with large black eyes.” He said that their skin was brown and he had seen no nose and no mouth. Reporters attempted to reach Ronald but apparently failed. Anne Robbins said that it didn’t matter because he wouldn’t talk to them anyway. They did talk to the daughter who said, “All I remember was Dad was saying he was stationed in Roswell and that a UFO crashed there.” That isn’t very helpful. We, of course, get the standard that the now long gone witness didn’t lie or embellish his tales and that he wasn’t given to pranks. She said that, if ordered to, he would not talk about matters he was told were secret… and yes, I see the contradiction here. Before we get into that, let me address a few other issues, the first of which is that this information is all second hand. We have nothing from the man himself and were told that talking with his son would be useless. His daughter added nothing to the conversation that couldn’t have been said by anyone in the world. I will note that I am retired military and could tell family that a UFO crashed there but all of that comes from other sources. I saw nothing myself. If I was going to chase footnotes, I could point out that the MUFON UFO Journal from May 2003, on page 3, carried an article about Robbins. But it is clear from that article that the information came from “Carlton Sowers” [sic], a reporter for the Dallas Observer, who apparently talked to Robbins at the opening of the Odessa Museum. The Dallas Observer seems to be a newspaper aimed at entertainment, meaning what there is to do in the Dallas/Fort Worth area rather than a paper filled with hard news. Everything then, goes back to Stowers and Anne Robbins. We all now know that story originated with an unreliable source and that the existence of the diaries has not been confirmed though it seemed to have been in the early 1990s. This is something that should be removed from the history of the Roswell case and reduced to a footnote. 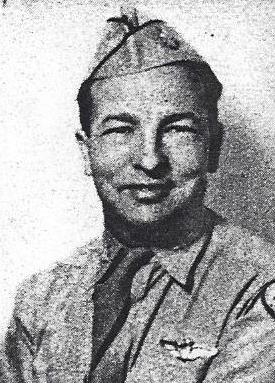 Stowers mentioned Frank Kaufmann in the next paragraph describing him as a radar operator. We all now know that Kaufmann had no role in this, other than the introduction of false information and this is something else that should be reduced to a footnote in the history of the case. Stowers followed this with the story of Jim Ragsdale who claimed to have seen bodies. Something that Stowers didn’t know is that Ragsdale would eventually claim that he walked down to the bodies to get a good look at them and would claim that they had helmets made of gold. I can think of very few things that are more useless than gold for helmets. Ragsdale’s testimony has been exposed as the lie it was and this should also be reduced to a footnote. I mentioned all this because I wanted something out there that would provide the latest and best information about the case and these three items have been exposed as fraudulent. And yes, these were my witnesses and my claim about the diaries, but I really thought the diaries had been located and Walter Haut told me that Frank Kaufmann was reliable and Haut provided the lead to Ragsdale. Which, of course, tells us nothing about Robbins’ tale of being called out to help in the recovery operation. Here’s what bothers me about all this. Robbins is not in the Yearbook, but remember Haut said 15 or 20% of those stationed at the base were not in the Yearbook. I have found no other reference to him in the proper time frame, which in all these sorts of cases is worrisome but rarely fatal. In 1947 there were no helicopters assigned to the base and helicopters, though flying in that time frame, were more experimental than operational. The Atomic Blast, the base newspaper made a big deal out of a helicopter visiting a few months after the UFO crash. Robbins’ tale of the decontamination procedure doesn’t seem right to me, but then this was 1947 and the procedures might have changed. However, it doesn’t seem right that he went through the procedure and then had his clothes returned to him. It would seem that he would have been issued new fatigues to reduce the possibility of spreading the contamination once the other procedures were complete, but I don’t know if that is accurate for the time. I do know that Sheriff George Wilcox’s deputies did claim to have found a large burned area, but they said nothing about a craft and bodies, which would have still been there, given the timing. The large blackened area of glass, which would be an aftereffect of extreme heat probably would have been destroyed by the Army because it would be physical evidence, if it existed. And there is a real problem with Robbins taking his wife to the scene. She, herself said that he would keep this a secret if told to but seems to have spilled the story to her within hours of his return home. Making it worse, he took her out to the crash site, violating more orders. That seems to be a major contradiction in what she said. Robbins’ story doesn’t seem to have been picked up by any of the Roswell researchers. 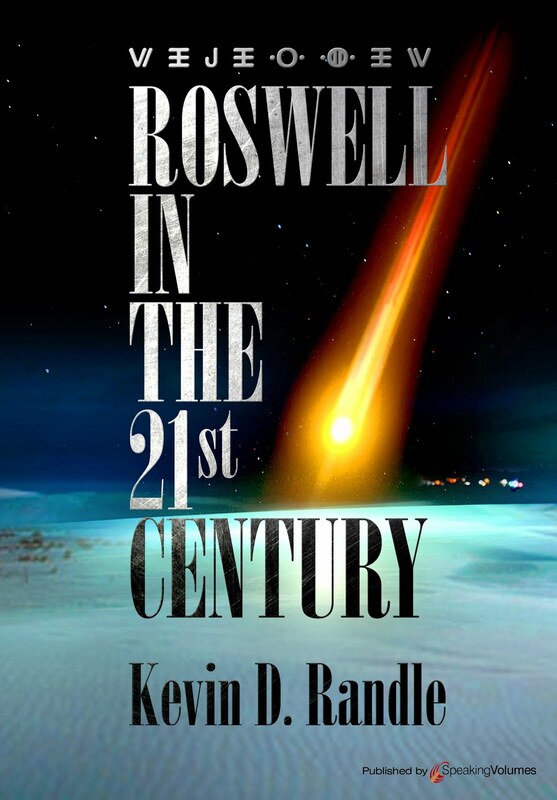 I do mention it briefly in Roswell Revisited, but give it only a couple of paragraphs with no real commentary about it. Although I do have a file for Robbins, I have not used this anecdote in any other book. Studying it carefully in today’s world with more evidence and information available, it is just another second-hand story that provided nothing new, but seems to have drawn on much of the information that had been published in the past. Tom Carey and Don Schmitt did interview her, but the story didn’t make it into their book. This is, then, another of those tales that falls into the footnote category which means we need to acknowledge it but certainly not use it as any sort of evidence for a UFO crash. There is too much wrong here and without the story from a first-hand source, we are better off not mentioning it again. January 1943 he was named the commanding officer of the V (Fifth) Bomber Command. In March 1943 while on a reconnaissance fight over the Torres Strait he disappeared. Neither his body nor any wreckage from the aircraft were found. If I had to guess, I would say that the Japanese spotted his aircraft and shot it down. 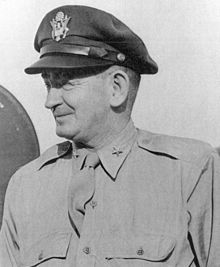 The point is that Ramey Air Force Base was named for him, contrary to what some others have suggested. 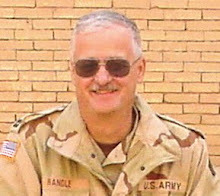 Roger Ramey’s widow told me it had not been named for her husband when I asked her about that in the early 1990s. Although the article is in the Roswell newspaper, the dateline is Fort Worth which means the public information officer who was quoted is not Walter Haut but probably Major Charles A. Cashon, the 8th Air Force PIO. (There are those who suggest that I haven’t carried out a complete investigation of the Roswell case, so, to prove a point, I will tell you that Cashon was not rated as flight crew and that his address in 1947 was Rt. 1, Box 220, Weatherford, TX, which was about a thirty-minute drive from the base.) This tells us where the debris from Ramey’s office went once he was done showing it to the press, though I wonder why Cashon would want it cluttering up his office and why no one bothered to take additional pictures (Oh, wait, this was 1947 when cameras were expensive and film was expensive and no one cared about a wrecked weather balloon anyway). Atomic tests like that of Operation Crossroads in which the 509th Bomb Group participated including Jesse Marcel. And, according to the L. J. Guthrie, of the Roswell weather station, they had been “dabbling with radar controlled balloons,” (which strikes me as a load… radar controlled balloons?) and that he believed based on the descriptions, what Brazel found could have been one of theirs. An Albuquerque weatherman said that they launched rawins with the weather balloons as well. None of that proves much one way or another. I just thought these various items about the balloons or more specifically the rawin from Ramey’s office landing in the possession of Cashon to be interesting. I thought I would just throw this information out there. I’m sure that I have opened the gates to all those who need to question absolutely everything even if there is nothing very controversial in the comments here. These are just little bits of information that probably add nothing to our overall understanding but I found them somewhat amusing. I see that June Kaba’s tale is making the rounds again and although I hate to mention it because it will probably result in more hate email; I find her story to be unbelievable. She seemed to me to be a very nice woman who might have been lonely in her old age but the stories she told simply do not hang together and her observations of military life and organization are in error. to the camera on the right. She said that it was an airman who had told her the tale and that he “seemed to know what he was talking about…” Later she would describe him as a master sergeant who might have been the crew chief on the aircraft. Some irresponsible person has started a false rumor about 2 green men from [a] flying saucer. This is nothing but a rumor and has no truth. Anyone repeating this rumor will be liable for dismissal and will be liable for $20,000 fine or 20 years in jail. According to Kaba, this memo was “over the signature of the Laboratory chief.” Later she would suggest that the order came from a higher authority than the laboratory chief. Of course this makes no sense. If it is a rumor then no law would be violated by repeating it. The memo does nothing other than reinforce the validity of what the airman said. The best course of action for those in charge, if they were worried about anyone repeating the “rumor,” was to caution them verbally. Why put something like that in writing where it might suddenly appear in the newspaper? Or that someone might find while searching through correspondence some years later? It would be of no value in a trial because to try someone for violating the order, it would have to be produced and that gives out the information about the bodies and the craft. Kaba’s story was originally interesting to me because here was a witness who had been at Wright Field and offered us some testimony about the bodies arriving there. True, she saw nothing herself, but the circumstances seemed interesting and I wanted to follow up on it. Kaba then sent me several documents proving that she had worked there (or more accurately at Patterson Field and later at Wright-Patterson AFB) and had a security clearance. No evidence was located suggesting that she held anything higher than a secret clearance though she claimed top secret and a “Q” clearance, (according to Clarkson’s interview) which seemed to be related to the Department of Energy. There seems to be nothing in her background that would require a DOE “Q” clearance. Originally, then, this tale seems related to Roswell, but the documentation doesn’t support that. It shows that she didn’t work there in July 1947. Her work record was somewhat spotty. She worked at Patterson Field from July 3, 1942 until June 30, 1943, when she quite to have a baby. 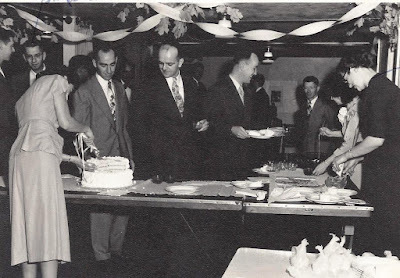 Next she worked there from May 13, 1948 to July 21, 1948 when she left for health reasons. Her final work was from March 8, 1951 to May 2, 1952 when she and her husband moved away from the Dayton, Ohio, area. This removed her tale from that of Roswell because she had made it clear that the aircraft had landed the night before. I supposed if you wanted, you could suggest that this had something to do with the Aztec UFO crash, if you believe that tale. In fact, in the attempts to validate some of Kaba’s information, researchers have relied on the MJ-12 parade of documents. The suggestion is that the nonsensical El Indio UFO crash of December 1950 might be one of the three that she meant when she said she knew of three UFO crashes. Unfortunately (and this we can’t blame on her because it was speculation by others), it is clear that the El Indio crash was invented by Robert Willingham in 1968. It was not one of the three. For some reason she was not asked what the three crashes were. Once I learned that she had not been employed at Patterson Field during July 1947, I put the case on the back burner. She hadn’t mentioned to me that she knew of three crashes, only that she had been in Dayton when the airman talked of the bodies arriving the night before. When it was clear that Roswell couldn’t have been that crash, and in fact, her dates of employment didn’t lead to any specific case, I wasn’t sure if there was any significance to her tale. This then, seems to be the tale told by a lonely woman. It seems to be a confabulation rather than a blatant lie. It is clear from my correspondence with her that she did have knowledge of UFOs and claimed to have seen three herself. Given all of this, I had no reason to pursue the investigation. It seemed to me that it was a dead end and nothing I have learned since has suggested anything else. I will say that I always found his show entertaining and his enthusiasm for many subjects interesting. He seems to have had a strange radio career, especially since he gave up regularly hosting his old show Coast to Coast in the late 1990s. This retirement, however, seems to be permanent. Ramey Memo on the Above Top Secret website. am now on Patrick Gross' "UFO Stupid" list up close to the top. email lists for my irresponsible actions in this matter. *J. Bond Johnson threatened to sue me on a number of occasions if I didn't retract the statements I had made about what he told me, all of which were recorded on audiotape. Given the circumstances, I would have almost enjoyed the lawsuit which would have vindicated my position on the matter. Johnson, instead, insisted on claiming I had misquoted him, I had maligned him, I had recorded him without his permission (though on tape you hear me ask if he minded if I recorded the conversations) and other assorted allegations. He, of course, never initiated the legal action, I suspect because he knew the truth and knew he had said all the things I claimed he did. Too often in the world of the UFO, we resorted to lawsuits when it seems that a careful word here or there would resolve the issue. I will note that others, Tim Printy, Robert Young and Jim Oberg have offered alternative explanations for the crash as well, all of which I explored in Crash: When UFOs Fall from the Sky. If Stan Gordon does have comment, I'll publish that as well. 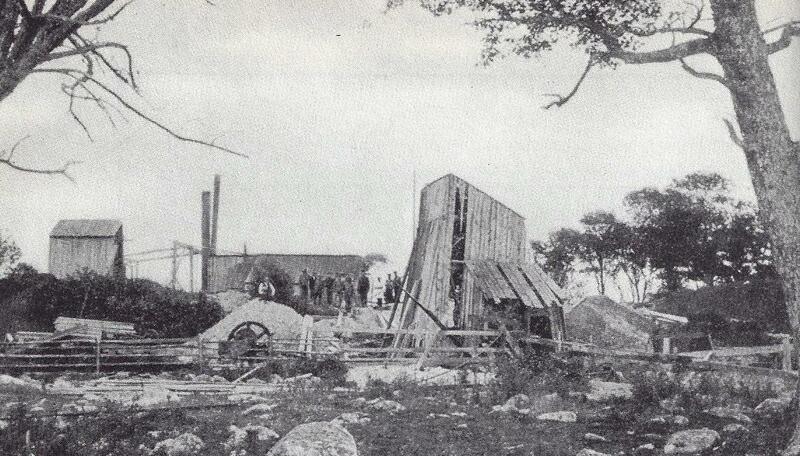 Oak Island in the late 19th century. not sure that’s such a great idea. And they believe they have located the original site of the Money Pit. Some great progress, I would say. But we are still being diverted by the nonsense. We have a couple of guys, who using some of their new technology, believe they have located other areas on the island that might hold some treasure. They did dig a pit where some iron was spotted by that technology near the surface and they did find a cable, which, of course, isn’t treasure but did suggest the technology might not be completely bogus. A test hole dug to find gold failed, but they did find some blue clay in which gold is sometimes found. Of course that would be gold ore as opposed to gold coins, but it did suggest gold might be there. They didn’t find any though. And they keep getting diverted by trivia. We were treated to an “expedition” to some boulders not all that far from Oak Island that had some interesting carvings on them. One was identified as a Portuguese Cross that might suggest a connection between that European country and Nova Scotia but certainly doesn’t get us any closer to what might be found at the bottom of the Money Pit. They thought the carvings were old but had no evidence of that other than their somewhat amateur examination. Sure, I get that they have a lot of time to fill and while the results of the summer activity are known to those who were on the island last summer, getting right to that point would not allow them to fill another ten or twelve hours of programming. Why do in a two hour special what you can do over several weeks so that you can sell more advertising? I was a little surprised by their attempts to pull one of those long pipes out of the bore hole. It was taking up space that would be needed for the diver when they finally get to that so they decided to pull it out. They had some success, but as they pulled it up and then cut off the first twenty feet of pipe, I wondered about the wisdom of what they were doing. I could see in my mind the chain slipping and the bottom of the pipe falling back into the hole. I though they should make a better effort to ensure that the pipe didn’t slip. They got the first twenty feet out, and when the cut the second section free, the other 140 feet of the pipe fell back into the hole, causing them additional work. They solved their problem. Now, before they cut away a section of pipe, they put a cross piece through it to ensure it couldn’t fall. With that, they were able to remove the whole thing. I just didn’t understand why they didn’t anticipate the problem and put in the cross pieces from the beginning. I’m also thinking that they keep being diverted by things that don’t have much of a point. It delays what they are attempting to do, which is find out if there is anything of value at the bottom of the Money Pit. They drain the swamp (in seasons past), but find nothing of value for all the effort. It did fill a couple of hours of programming however. They did toss dye into the bole hole to see if it connected to the ocean but that failed. I’m not sure of the mechanics of that but it simply didn’t work. Had I been there and someone suggested the experiment, I would have been on board, though I would think that if there is salt water in the pit, that would establish a connection to the ocean. I would think that the depth of the water in the pit, as it rose and fell with the tide, would have been another hint. I wasn’t impressed with the discovery of old Spanish coins on the surface of the island (which they had to take to Florida to have a coin expert there examine… you have to wonder if there weren’t any coin dealers or experts in Canada that could have done that). Had they dug them up near the pit, that would have been something, but a coin found on the surface just smacked of someone tossing out these rather cheap, old Spanish coins to add a little drama… which is not to say that anyone associated with the program did it. Anyone who had been on the island for any reason could have done that. I know of people salting a couple of the Roswell crash sites with modern debris (such as fiber options) in the hopes of creating some excitement. But wait, if there is a treasure down there, no matter what form it takes, it would seem to me that they would want to find out who put it there, how long ago they did it, and where did they originate. The coconut husks found lining the beach and the water traps suggest some elaborate engineering, and that would make an interesting follow-on series. But this continued dragging out of this with all the sideshows and nonsense trips is becoming annoying. If there is an answer, let’s get to it before this season ends. I don’t know about others, but my patience is wearing thin on this. Jan Aldrich seemed to be upset that we are attempting to read the Ramey memo and has likened the effort to that of the promoters of the Not Roswell Slides. I fear that he has misunderstood our mission or maybe he assigned his own beliefs to what he thinks we are doing as opposed to what we are actually doing, but the point is that this is nothing like the fiasco that is the Not Roswell Slides. We have not expressed a point of view about what the message says… Oh, sure, David Rudiak believes that it is a classified document that might hold important information, but that is not the driving force for us. David would be delighted if we were able to validate his interpretation of the memo including the phrase, “victim of the wreck,” but we have been unable to clarify the image enough to make that call. At that time David argued passionately that Barry’s interpretation didn’t quite fit all the known facts. We have to remember that David has worked on all this extensively for many years and believes that he had established to a high degree of certainty what the memo says. There is a great deal of agreement with his analysis inside the UFO community… the problem is, as anyone who looks at the memo can see, there is ambiguity in the interpretations. If there was none, then we would be having another conversation. But here’s my point. It is true that David is quite passionate in his opinion, which doesn’t make it wrong. Jan is quite passionate in his opinion, which doesn’t make it wrong. Where Jan missed the boat is with his idea that we are attempting to recreate a Not Roswell Slides presentation that will ignore any evidence that conflicts with what Jan believes is our mission. But rather than hide the data, or obscure it with digital tricks, we have made everything available on line for those who wish to look at it. All we are attempting to do is clarify what the memo says not force an interpretation on everyone. We are attempting to solve the riddle and while no matter what we learn, there will be detractors, in the end we hope to have provided an answer for this… a true answer and not one that appeals to one end of the spectrum or the other… an answer that will resolve the issue. We had always planned to provide all the information we could about our research into the Ramey Memo. Our original hope was that we would be able to clarify the text and then provide the methodology and the scans to those interested in verifying our work. We had hoped to be able to resolve this one bit of UFO history and believed that with today’s technology, we would be successful. Unfortunately, we weren’t as successful as we had hoped. While the new scans were an improvement over those made in the past, they did not result in the clarity we had hoped. Thinking of the success of the Roswell Slides Research Group in reading the placard revealed in the Not Roswell Slides fiasco, we opened the research doors to others. The whole group of scans, using various techniques, lighting and filters came to something like 27 gigabytes… maybe not overly large in the world today, but large enough to make sharing the scans over the Internet something of a problem. I will remind you all of the copyright restrictions on the use of these scans, as worked out in cooperation with the legal department at the University of Texas at Arlington. These scans are available for noncommercial use and are shared under a Creative Commons Attribution – NonCommercial 4.0 International License. You must provide attribution, you must give appropriate credit and indicate if changes were made and you must not suggest the licensor endorses you or your use. Kevin Randle, David Rudiak, Simon Schollum and Jerry Morelock for scanning the negative and the Fort Worth Star-Telegram Collection, Special Collections, University of Texas at Arlington Libraries, where the negative is housed. We are interested in any results. Please let us know what you found and how you accomplished it. All information will be greatly appreciated. As I was working to get information arranged for a web site that would feature many of the new scans of the Ramey Memo, I came across an article, “Part II: Death Bed Confessions – Roswell 1999: What’s New?” My first thought was that legally, what they were talking about wasn’t actually a death bed confession since we weren’t dealing with a crime and some of the people seemed to be old but not necessarily on their death beds. But why split a legal hair when there was so much else wrong here. I now understand why so many of the skeptics simply turn up their noses at new revelations about the Roswell case. Overlooking that many of the “new” witnesses didn’t see anything themselves but merely heard others talking about the crash and those who might have seen something are simply not named. A woman whose husband was an MP stationed in Roswell in 1947 relayed to us the information that her husband, on his deathbed four years ago , “confessed” to guarding the perimeter – but not picking up the debris – at the Foster/Brazel ranch site, while another woman told us that her husband, during the last year of his life, in 1995, finally told her of his involvement in the events. After seeing a show on TV that featured the Roswell Incident, she at last asked him, “Well, Dear, is it true?” He answered, “Well, I suppose that it’s time I should tell you. I’ve been meaning to for a long time.” He had been a cook with the 509th Bomb Group at Roswell in 1947 and confirmed to her that he was simply grabbed one day and told to report to Building #84 (a hanger) on the base. He was given a gun and told to stand guard at the hangar with other similarly confiscated base personnel. There is so much wrong here, that I feel compelled to break the narrative. First we begin with one woman, who is not identified, repeating a tale told by her husband, who is not identified, telling her he had guarded some random debris at the Foster ranch. No way for anyone to independently verify this account, check to see if the guy was actually an MP at Roswell at the right time, though I will assume (and yes I know what that means) that Carey had the name and confirmed the man had been in Roswell in 1947. Second, before we can blink, we’re off with another tale from a woman, who is not identified, and whose husband, who is not identified, is assigned to guard a hangar. He’s handed a weapon, but we don’t know if he is given any ammunition, which is a critical question, and who gets a look into the hangar. While this might seem plausible to someone who hadn’t served in the Army, it has its flaws. In basic training, we are all taught how to act as a guard, so he would have known, generally, what to do. I have trouble with assigning guards to the hangar and then letting the security lapse to the point where the guy gets to look inside and even glimpses the bodies. This seems as realistic to me as Philip Corso’s nonsense of opening a sealed crate at Fort Riley to see an alien corpse. I mean, if you’re going to all the trouble to mount a guard, it would seem that you’d lock a door or two and hide the really good stuff under a tarp, in a room off the hangar floor, or in a space where even if someone looked in, they wouldn’t see anything of value. Once again, an unidentified source who heard the tale from her grandfather, who is unidentified, but with the promise of documents, which apparently never surfaced. Reminded me of the time I was working with a fellow who told me that his father had left him some documents that related to the Roswell case and would prove that it had happened. We finally worked out a way for me to see one of the pages so that I would know that he had the goods. Imagine my disappointment when he sent me a page from the MJ-12 Eisenhower Briefing Document. I don’t know if his father had actually left these things to him or if the guy just came up with the story to make it sound legitimate, but it was, quite naturally, a dead end. Which seems to be the case with all these reports. Here we are a decade and a half later, and as far as I can tell, nothing important ever came from these stories. Just more rumor that couldn’t be verified because we have no names to go with them. I don’t know if these stories showed up in Carey’s and Don Schmitt’s book about Roswell, but do know there are unidentified sources in it. None of these tales even rises to the level of any standard of testimony. They are just a bunch of stories cobbled together that seem to corroborate some of the Roswell testimony of others but there is no way to tell. As most of you know, I come to the Roswell table believing that something did fall there that doesn’t seem to have been manufactured on Earth, but these snippets of information just aren’t good enough to help prove it and probably shouldn’t have been reported until more information could be supplied. I hear the skeptics screaming for some way to verify, if nothing else, these guys were actually in Roswell at the right time. And before you say, of course they were, I will mention that in the last decade and a half, I have listened to and seen stories of guys who weren’t in the military but make all sorts of claims about their service in Vietnam… They had documents, uniforms, photographs and medals and when confronted with their lies, claimed their records were “lost,” their missions “classified,” but who don’t even know some of the basics of military service. Sometimes, if you listen to their tales, you discover they are lifted from movies and often include the dialogue from those movies. Confront them and their friends and family will defend them, even in the face of evidence to the contrary. Anyway, I felt compelled to mention these things before they become cemented into the Roswell lore… though some of that has already happened. If we are going to share these tales as the truth, then we had better be prepared to offer some way of learning if the “witness” was even in Roswell in 1947 otherwise we’re just spinning our wheels. · You provide attribution. You must give appropriate credit, provide a link to the license, and indicate if changes were made. You may not suggest the licensor endorses you or your use. § The Fort Worth Star Telegram Collection, Special Collections, University of Texas at Arlington Libraries, where the negative is housed. If there are any questions about this, they can be addressed in the comments section of this blog. We are now working to get the images posted on a site that will allow others to take a look at them and provide any thoughts on how to resolve them. It has been claimed that the only case involving occupants, creatures associated with a landed UFO that was labeled as “Unidentified” was that from Socorro, New Mexico told by Lonnie Zamora in 1964. Although somewhat hidden in the Project Blue Book files, there is another that took place almost two years later. Hynek mentioned it in his book, The Hynek UFO Report, but he doesn’t give a location and he dates it with a newspaper clipping from the Dallas Times Herald. Observer [W. E. Eddie Laxson] was driving his car along the highway at approximately 0505 [a.m.], 23 March 1966, when he noticed an object parked on the road in front of him. He stopped the car and got out so as to get a better view of the object. The object was so parked that it blocked out a portion of the road curve sign. There were no sharp edges noted by the observer. The object had the appearance of a conventional aircraft (C-124) without wings or motors. There was a plexiglas [sic] bubble on top, similar to a B-26 canopy. As observer approached, he noticed a man wearing a baseball cap enter the object by steps from the bottom. After the man entered the object, it began to rise from the pavement and headed on a southeasterly direction at approximately 720 mph. The object had forward and aft lights that were very bright. As the object rose from the ground, a high speed drill type of sound was heard, plus a sound like that of welding rod when an arc is struck. Object was 75’ long, nearly 8’ from top to bottom and about 12’ wide. There were some type of supports up the bottom of the object. After the object disappeared the witness got back into his car and drove approximately fifteen miles down the highway. At this time the original witness stopped and talked with another individual who had also stopped along the roadway to watch some lights over Red River which is approximately five or six miles to the southeast. 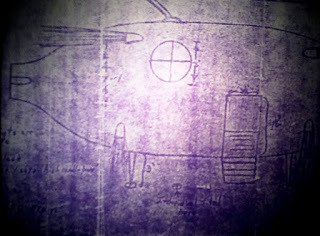 Various organizations were contacted around the Temple [Oklahoma] area for a possible experimental or conventional aircraft. The observer stated that he thought the object was some type of Army or Air Force research aircraft. All attempts at such an explanation proved fruitless, since there were no aircraft in the area at the time of the sighting. Although there are numerous helicopters and other experimental in the area, none could be put in the area of Temple at approximately 0500, 23 March 1966. Because of this factor the case is listed as unidentified by the Air Force. Anderson said that he thought the object had been following him down the road. He had watched it in his rearview mirror for several miles. The problem for the Air Force was that Anderson did not complete their form. He didn’t see the pilot or crewman either. 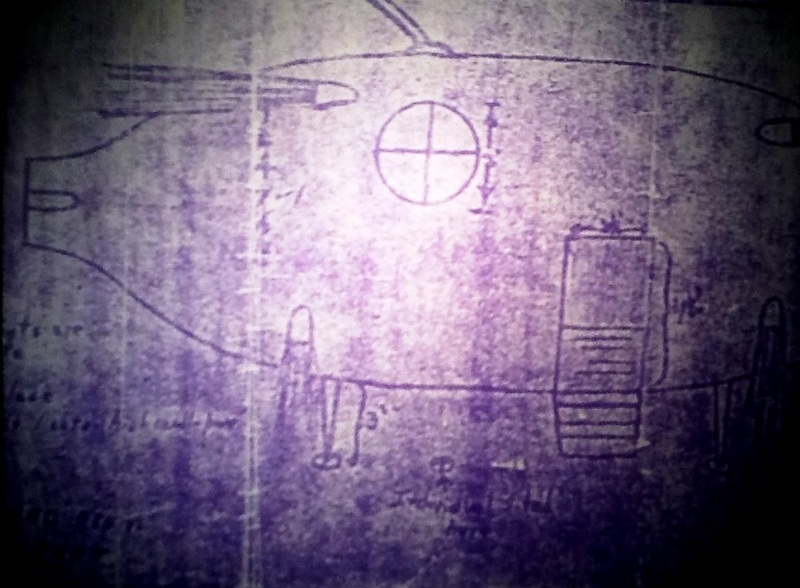 Laxson's drawing from the Project Blue Book files. *It should be noted that Hynek used the information that was available in non-classified sources to write The Hynek Report. When Hynek wrote his book, the Blue Book files were still classified, but by the publication date, they would be declassified and housed at the Air Force Archives at Maxwell Air Force Base in Alabama. Here’s what all this means. At the time, the mid-1970s, a book would be handed in to a publisher and it would be between a year and 18 months before that book would be available, which means, when Hynek actually wrote it, the files would have still be classified… and upon publication it wasn’t common knowledge that the files were declassified. Hynek cannot be faulted for using the publicly available information rather than the classified sources to which he might no longer been granted access. The other day, as I was looking over some of my old files and interviews I found an interview that I had done nothing with at the time. At the risk of offending all those who get annoyed if I mention Roswell and accuse me of being obsessed with it, I thought this might be of interest. I remember nothing about this interview. It took place in late 1995 with Colonel Claude N. Burcky, who, in 1947 was a major assigned to the 390th Air Service Squadron. He also said that he had heard the stories of alien bodies but that he had not seen them himself. So, he was providing some interesting second-hand testimony about what went on during that time but given the state of Roswell research today, it really adds little to our knowledge and might be seen as complicating it even more. I asked about the debris, but he hadn’t seen any of it either, and only knew what he had heard. And this is where the tale became interesting because the bombing range was south of the base and that suggested something had happened much farther south of Roswell. I had heard nothing of a crash site south of Roswell and even today there seems to be nothing to support that idea and I’ve talked to a number of people about this. Everything was more or less north of town and more or less north of the base. This didn’t fit with what I knew. …a blue-green light resembling a flare was observed travelling on a horizontal line. This light came out of the North headed South at an estimated altitude of 2,000 feet, moving slowly, and disappeared in the vicinity of SE Walker Air Force Base. To some observers, this phenomenon disappeared in its entirety while other statements mention a disappearance as a disintegration into a shower of smaller lighted fragments such as a shower of sparks. The only sound accompanying this object was heard by Sgt. McCrary, who described it as a high pitched whining noise similar to a blowtorch. All of these observers sighting this light from a position west of it while facing east. He said it was flying very slow, was very bright and it exploded into six or seven pieces. It was travelling at a very shallow angle, going from north to south and was bright white and blue. It burned out after it exploded, which is why he lost sight of it. Also in Alamogordo, Wilfred T. Martin, who worked as a technician for the Boeing Aircraft Company, said that about six in the evening, he saw a single green fireball to the east and travelling to the south. He saw no signs of an exhaust; he watched for about ten seconds and said that it did not explode. There were other, similar reports coming from other parts of New Mexico and west Texas. The track of the object, or the green fireball, could be plotted based on the observations of the witnesses, and the investigators took many of them to the places where they had seen the fireball to get accurate measurements suggesting height and direction. Using the information gathered from more than 100 witnesses, Dr. Lincoln La Paz set out in an attempt to find where the object came to earth, if it was an ordinary meteor. He said that he’d have very good luck in the past finding the remains of meteors (in this case a meteorite. These lines are drawn [on a map of observers’ sightings, giving direction of the object from the observer and the direction of travel] from the points of observation. The center… of the points of appearance is somewhere Southwest of Amarillo or South-southwest of Amarillo. The disappearance point is in the vicinity of Lubbock, Texas. 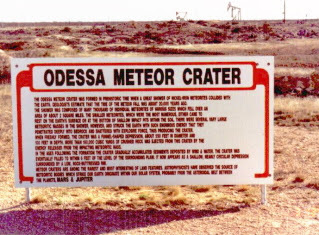 La Paz explained that his plots suggested that the meteorite, if that was what it was, should have struck the ground near Lamesa, Texas, which is to the south of Lubbock. Working with a team, including military men such as Rickett, Platt and Neef, they searched the area for several days without results. La Paz was puzzled because in similar cases of large, bright meteorites, he had had great success in recovering fragments. What struck me here was that Burcky talked of something to the south of the base and this was in the general direction of the bombing range. Platt said that he had been interrogated by people from the base, the CIC and the FBI which suggests that they thought there might be some sort of national security implication but not necessarily indicative of alien visitation. This also sort of describes La Paz, a civilian who was in Roswell interviewing the witnesses. It might be that Burcky confused his statements about what happened in 1947 with what happened in 1949. Just to end a bit of confusion, it is clear to me and practically anyone else who looks at the 1949 sighting is that it was one of the green fireballs. There was a classified study of them being made in 1949 so there was a national security implication. When the sightings ended, even though there was a bit of controversy about what the green fireballs really were, it was determined that they posed no threat. The documentation and reports were eventually declassified so that we all can see what was being done back in the late 1940s. I believe that I did nothing with this report because it suggested another site south of Roswell and there was nothing else to back it up. There was no testimony from any ranchers, no soldiers said they had gone out there, and everything else pointed to the events north of town. The report is just one of those anomalies that spring up when dealing with memories that are decades old, though I suspect that those who enjoy creating long lists of UFO crashes will use this tale to validate those claims regardless of the solution. The January 1949 event was a green fireball and not an alien ship.